If you have a plant problem in the garden- this book will help you find it, understand it and show you how to deal with it. The Plants Pests and Diseases ebook is an essential guide for any gardener- this ebook shows you the pests that could affect the plants in your garden. There is a directory of plant problems that can affect the health of your plant. Also in this ebook is a great guide to insects that can cause havoc in your garden. 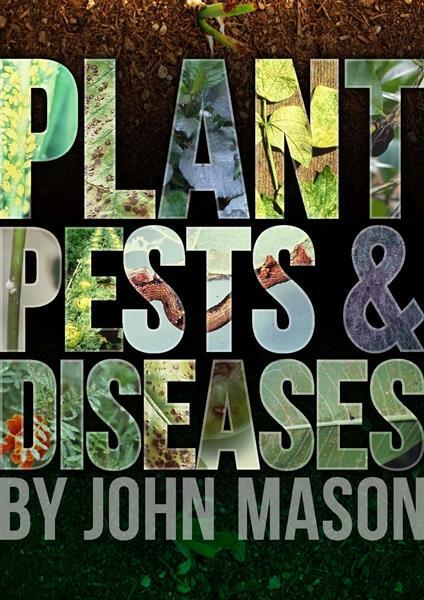 The great thing about this ebook is that there is also a plant directory that lists specific issues and pests that can cause problems to different plants. The first step in finding out what is wrong is always to carefully inspect the problem. Chapter 1 will show you how to do this. After inspecting a problem, you don’t always need to know exactly what it is in order to treat it! Often knowing which major problem group it belongs to is sufficient. Often it takes the expertise of a scientist to say exactly what insect or fungal disease is causing a problem. As long as you know that it is an insect, that may be enough. The second step is to look at chapter 3 and refer to the plant variety with which you are having problems. This will tell you what the most likely problems are for that plant genus. By considering these possibilities along with what you saw in your inspection, you should be able to narrow down the likely problems to just a few. The third step involves checking the most likely problems with the descriptions of pests, diseases, weeds and other problems found throughout the book. If the problem matches, you will then find a recommendation for treatment following the description of that problem.